One of the great things about the Internet Age is the ability to ramble along the Information Superhighway in search of new music, obsessively-compulsively bouncing off the URL walls on a random journey of discovery. And that’s how this reviewer first heard about Billy Strings last summer. Unexpected Destination No. 1 was a show posted in the Live Music Archive section of the Internet Library. It was an exceptionally well-made matrix (soundboard/audience composite) recording of a stellar performance by Strings and his band at the F.M. Kirby Center in Wilkes Barre, Pa., on July 13, 2017. From there, one hyperlink led to another, and a profile of the wunderkind flatpicking guitarist-singer-songwriter was slowly amassed. Fast-forward a few months, and Strings (aka William Apostol) has released his crowdfunded, debut full-length solo CD — and it’s more fun than a barrel of virtuosic monkeys playing guitars, banjos, mandolins and occasionally fiddles. 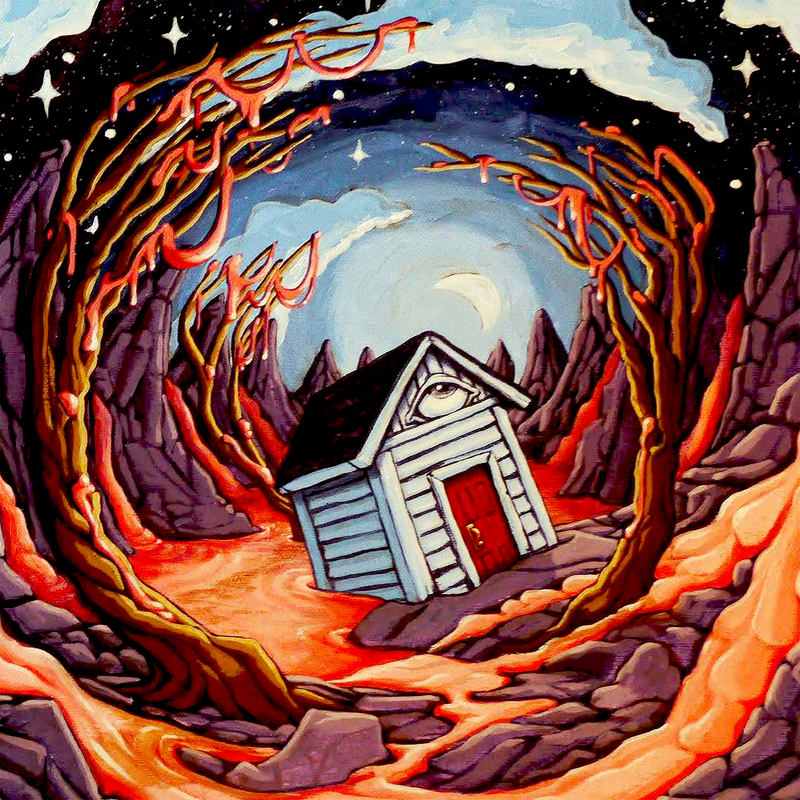 Bluegrass, newgrass, folk, country and even a psychedelic passage or two; it’s all there, sometimes in the same song. “On the Line” might conjure an image of “Old and in the Way”-era Jerry Garcia smiling down from above in approval, whereas “Meet Me at the Creek” has a lengthy, cosmos-exploring instrumental section. “All of Tomorrow” is a “San Antonio Rose”-like number, but then there’s “Living Like an Animal” — which benefits from special guest Peter “Madcat” Ruth‘s contributions on harmonica and Jew’s harp, coming across like an updated “Chicken Train” (Ozark Mountain Daredevils). 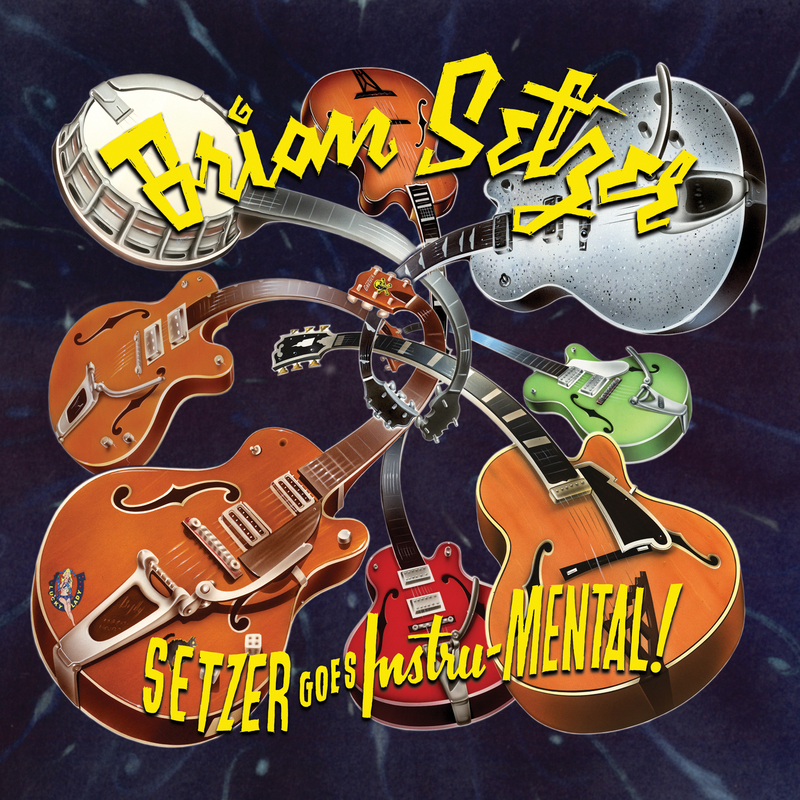 “Salty Sheep,” the only song not written by Strings, is a flatpicking-guitar medley of traditional songs performed as a duet with special guest Bryan Sutton. Strings possesses a lived-in bluegrass tenor voice that belies his looks (20-something going on 16) and can play at nearly the speed of light when he wants. Witness “Pyramid Country,” an instrumental that affords Strings, banjoist Billy Failing and mandolinist Drew Matulich the opportunity to take solos in rotation. In other words, the sound is virtually the way it was heard while being created in Brown’s expertly designed workspace, captured using the best of both worlds (analog and digital) to help translate the fire, immediacy and beauty of String’s live shows into a studio environment. 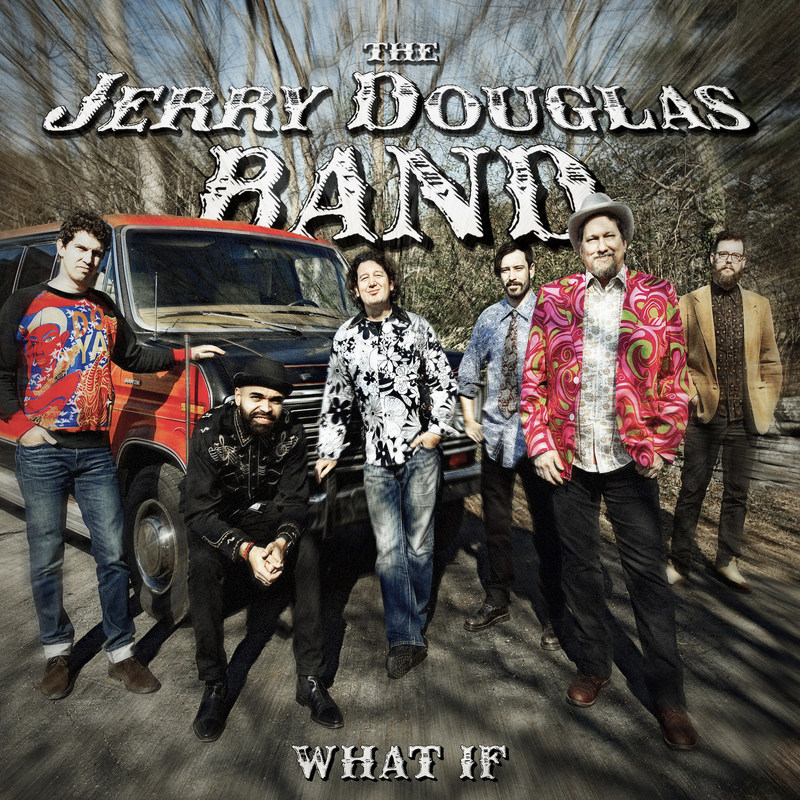 Like “Gator Strut,” the Jerry Douglas Band’s “What If” swirls genres in unexpected and mind-blowing ways around a loose core of progressive bluegrass using the best studio sound possible. Douglas, aka Flux — who’s evolved from bluegrass to newgrass to New Age to world fusion, with countless session dates and collaborations along the way as well as a nearly 20-year stint in Alison Krauss and Union Station — has again stepped out of his comfort zone to come up with something new. “Something new” this time is a pleasantly surreal alternate musical universe that shape-shifts through bluegrass, country, folk, rock and blues but with a constant jazz denominator supplied by JDB guitarist Mike Seal, saxophonist Jamel Mitchell and trumpeter Vance Thompson. “I’ve always heard horn lines in my songs, and I usually put something else there instead,” Douglas explains in his record label’s press release for the album; oftentimes, that “something else” was mandolin and/or banjo. But this time the listener gets to hear what was originally in the artist’s head. “Unfolding” unfolds with solos, beginning with Douglas’ bluesy riffing. Next in the spotlight are Christian Sedelmyer’s violin and Mitchell’s sax, which in conjunction with the Dobro recall just how great Loggins and Messina’s extended pieces on “Full Sail” and “Mother Lode” were. Then the song takes a left turn into free-form, as Seal cuts loose with an Allan Holdsworth-ian jam. The final solo is offered up(right) by bassist Daniel Kimbro, before a reprise of the main melody closes out the whole affair. “2:19,” one of the only two vocal numbers, features some surprisingly capable and soulful singing by Douglas on a Tom Waits cover that’s given somewhat of a “Ry Cooder by way of New Orleans” treatment. The other vocal number (again sung by Douglas) is an interpretation of the massively covered 1960s classic “Hey Joe” and arguably the album’s most bluegrassy production. The title track easily is the most emotional, with its extended classical intro dissolving into plaintive and mellow twin-horn action that comes and goes throughout before the song drifts away on a short-but-sweet display of guitar subtly reminiscent of Jerry Garcia. Other highlights include the opening “Cavebop” (beatnik hillbilly jazz, featuring really great offbeat drumming by Doug Belote); a trio of Celtic-style tunes (“Go Ahead and Leave,” “Butcher Boy” and “The Last Wild Moor”); and the closing “Hot Country 84.5,” an overtly country ditty that cheerfully straddles the line between waltz and shuffle. “What If” is a departure for Douglas in that it’s a band album. But it’s also a more than worthy addition to his lengthy line of fine instrumental releases, and one that admirably extends his creative reach into uncharted territory. 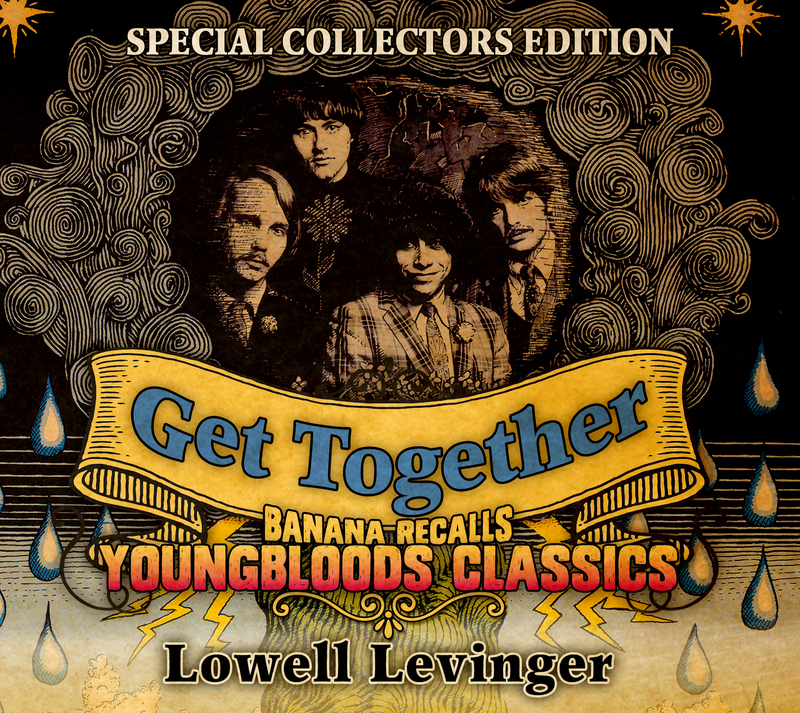 Even serious Youngbloods fans may have had a hard time keeping up with Lowell Levinger (the artist almost formerly known as Banana) since that group disbanded 42 years ago. Shortly after the breakup, he released an eclectic album with his Youngbloods bandmates sans Jesse Colin Young called “Mid-Mountain Ranch,” under the moniker Banana and the Bunch (a name he’d resurrected from a pre-Youngbloods folk group). Then he became a sideman — most notably as accompanist to Mimi Farina in the 1970s and ’80s, and as keyboard player for psychedelic jazz-rock ensemble Zero in the late ’80s and early ’90s. He laid low until 2009, when he started releasing solo albums under the name Grandpa Banana. For last year’s “Down to the Roots,” Levinger used his given name, albeit with “Banana of the Youngbloods” appended. For his fifth solo album, “Get Together,” he moves “Banana” into the title to help explain that this is his lovingly crafted celebration of the Youngbloods’ 50th anniversary. The outstanding collection of inventively reimagined and masterfully played Youngbloods songs is mostly acoustic-flavored, featuring Levinger on various five-string tenor guitars, banjo and piano. Old friends such as Ry Cooder, Duke Robillard, David Grisman and (on backing vocals for three songs) Young lend a hand. On the title cut, he’s backed by the Grand Chorus: Dan Hicks, Maria Muldaur, Peter Rowan, David Nelson and others. Good New Music caught up with Banana/Levinger via email and got some questions answered. Q: I’m assuming that the album was recorded at Owl Mountain, because Jesse says in his note that the three songs he was involved in were recorded there. What’s the origin of the studio? Is it yours? Jesse’s? From what I can tell, co-producer/drummer Ethan Turner (Jesse’s godson, son of Rick Turner of Autosalvage) is the studio’s engineer/principal. A: This is Jesse’s old studio just down the hill from his old house (in Inverness, Calif.). Many Youngblood recordings were made there in the early ’70s. In the fire of 1995, the house burned down but Ethan Turner was there and he singlehandedly saved the studio while all the neighboring houses around it burned to the ground. There is a huge melted shard of metal on the porch of the studio that was once a bench. Ethan has been maintaining/upgrading/tweaking/adding cool equipment etc. to the studio since then and does many other recordings there as well as his own and mine. And it is basically now his studio. Q: Speaking of Autosalvage, did they finish their new album? A: I went with the reunion of Autosalvage as guitarist/steel guitarist to SXSW in 2013, and we did a few sets there after having rehearsed like crazy in Bolinas over the previous couple of months and made a sort of video. I don’t think anything further has evolved. Q: How did you meet the album’s bassist, Sam Page? A: He subbed one night with the Barry (“The Fish”) Melton Band at the Saloon (in San Francisco) and I had known a little about him before but never actually played with him. I was impressed and we talked and he also plays the “real” acoustic bass, which is what we use (on the new album), and we tried it out and it clicked. He is solid as a rock and knows a gazillion songs. Q: How did you meet the guys from the Italian band Red Wine, who make guest appearances? Was it related to your online vintage instrument business? A: I became infatuated with Italy when I went for the very first time in 2007, and I came home and made a vow to spend a little less at home, work a little harder and go to Italy at least twice a year for the rest of my life, getting to know all 20 regions and their cultures, cuisines, wines, art, architecture, literature, etc. I enrolled in an Italian class and have been in classes ever since, several long-term ones in Italy. When my friend David Grisman came home from there in 2009 with a Giacomel mandolin, I was immensely impressed. And when I heard him play it at a gig and on a record, I decided I better get one. I started communicating with Corrado Giacomel and then met him and it was through him that I met Martino Coppo and the rest of the Red Wine gang and also Carlo Aonzo, and also a wonderful circus troupe called Compagnia Teatro Scalzo who are all great musicians as well. Q: Your singing voice has come a long way. Did you make a conscientious effort to improve it? A: Yes. I’ve always been a good harmony singer and able to blend well with different types of voices. I realized in about 2004 that my voice was improving and that I could actually engage people just by singing songs solo — self-accompanied. So I started practicing singing just like I practice playing instruments. It seems to be working. Q: Is it true that the Youngbloods recorded a never-released country album? A: Yes. It’s called Country Home and it may be released at some point by Sundazed Records. Q: When you played live with the Youngbloods as a trio, was it an either/or thing with the guitar and electric piano? Or did you sometimes play both on some songs? A: I almost always played one or the other. It was after The Youngbloods that I started sometimes wearing a guitar while standing at the organ and going back and forth between the two. I played the Wurlitzer sitting on a psychedelic piano bench. Q: Do you miss playing the electric piano? A: I prefer the acoustic piano. Q: How did you get the nickname Banana? A: In 1962, Peter Golden and I were at the dress rehearsal of the Boston University production of “On the Town” by Betty Comden, Adolph Green and Leonard Bernstein. We were merely stagehands, as freshmen are not allowed to actually appear in major productions, which this was. There is a scene in “On the Town, with whose plot you may be familiar but I shall synopsize it here: Three sailors are on leave in New York City for only 24 hours; will they get lai …. no no … will they find romance? The show includes many great songs, but one not so great is when one of the protagonists and his newly found girlfriend are taking an open cab ride through Central Park. The “cab” is actually a flat painted to look like a cab, and it has large dowels protruding from its back so that two stagehands crouching down on their knees can hold on to the dowels while they painfully shuffle along making the cab look like it is moving on its own across the stage with the two actors walking in back of it. Hey — you asked. The cab pauses in the middle of the stage, and while the stagehands endure their agony the couple sings a romantic song. This song kept being interrupted during this dress rehearsal by costume people and then makeup people and then stage-blocking people and all the while Peter and I, yes, crouched down there. Well, in our extreme agony and boredom we decided that it was absolutely imperative that we think of the funkiest, folkiest name that might have been used in 1936. The best we could come up with was “Harmon N. Banana,” so we went with it. We formed the band right then and there. “Harmon N. Banana and the Bunch — Old Time Music With Appeal.” Within minutes we had created the secret handshake and high sign, which we both now have forgotten. Nope, still no stardom. … Eventually we dropped the “Harmon N.” as it just confused people. What in the world, they wondered, was the “N” for? Leftover Salmon is back after an eight-year recording hiatus. The band had decided to give it a rest in 2005, after 15 years as a unit and three years following original banjo player Mark Vann’s surrender to cancer. 2007 saw the first in a series of occasional reunion shows, but the fire wasn’t stoked until RockyGrass Banjo Contest winner Andy Thorn was recruited in 2010. 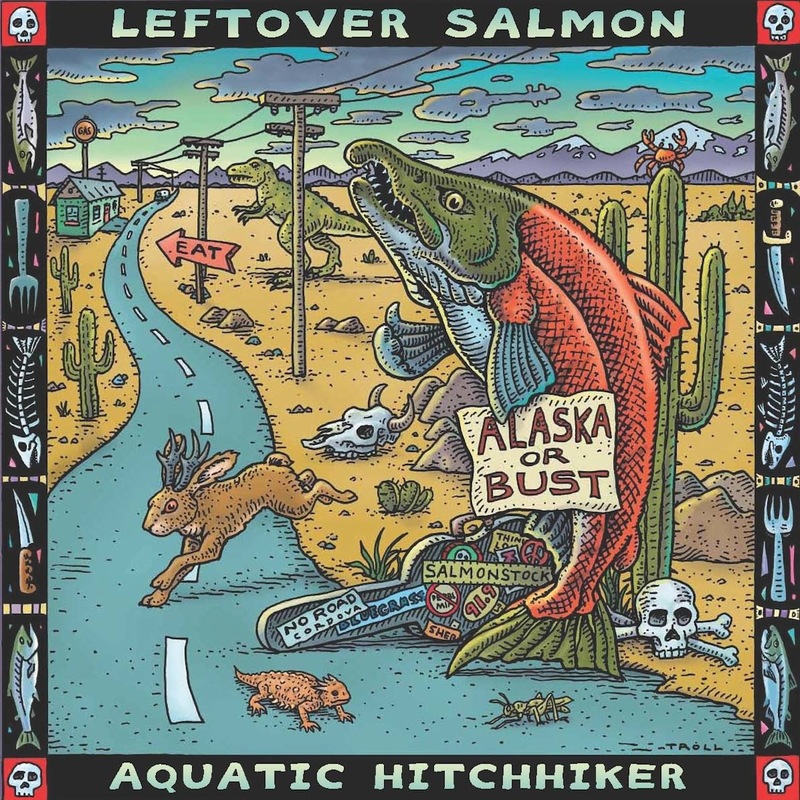 In December 2011 and January 2012, a once again fully engaged LoS spent some time in studios in Denver and Portland with Los Lobos’ Steve Berlin producing, resulting in “Aquatic Hitchhiker” — the group’s fifth studio album and first containing all original material. Their self-coined “polyethnic Cajun slamgrass” description applies only somewhat now, as “Bayou Town” is the sole track here with a Cajun element. There isn’t much polyethnicity left, either, outside of the Caribbean-flavored “Liza.” In their stead is a stronger dose of rock, successfully coexisting on an almost equal level with the slamgrass component. • The title track and lone instrumental, a high-speed showcase for newcomer Thorn. • “Keep Driving,” guitarist Vince Herman’s seemingly effortless exercise in open-highway songwriting. • The slow and beautiful “Light Behind the Rain,” a Thorn collaboration with amazing Colorado journeyman meatpacker/songwriter Benny Galloway, whose compositions have been recorded by the Yonder Mountain String Band and the Infamous Stringdusters. • “Stop Your Worrying,” mandolinist Drew Emmitt’s rollicking breakdown, complete with tempo changes and guest fiddle by Jason Carter of the Del McCoury Band. • Bassist Greg Garrison’s “Gone for Long,” a plucky (figuratively and literally) midtempo dirge with almost-mellotron-sounding organ by Asher Fulero (aka Halo Refuser).